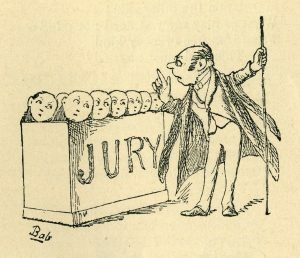 The essential role of jurors at trial is to determine which party to “believe.” Issues of law are handled by the judge, while factual issues and the credibility of the parties are solely for the jury. The more complex the case, the more difficult it can be for jurors to make their important decision. However, when it comes to credibility, there is one constant: the jury will always trust the judge. In cases involving negligence, what could be more effective for the Plaintiff than the judge instructing the jury that the Defendant was negligent? In Florida (and most other jurisdictions), the violation of any statute or ordinance designed to protect individuals from harm amounts to “negligence per se.” This means the issue of negligence is conclusively established, and the parties proceed to the issues of whether the negligence caused damage and the extent of the damage. If a party can prove that such a violation occurred, they may move for summary judgment to have the judge confirm the violation. If successful, the judge will instruct the jury that they must find the opposing party negligent. Statutes that have been used to establish negligence per se in Florida include certain health codes, boating statutes, electrical codes, building codes, elevator statutes, traffic statutes, and more.